When I spotted this tag on my lovely friend Girl Friday's blog, I knew straight away I would love to take part. If you are interested in her tag and you haven't already read it, check it out HERE! Now onto the questions!! Blush. I love my pinks, corals, peaches. Though I have been wearing my new Body Shop Honey Bronzer not stop since I got it as a birthday present (thanks guys!). I am more of a powder than a cream blush kinda gal. This is a hard one because up until about 2 years ago, I would only say lip gloss, but then I really started embracing lipsticks and bought/wore nothing else practically for almost 2 years, but now I find myself veering back towards a glossier lip. I am mega impressed with the new glossy lip crayons that are on the market at the moment (and I have reviewed many of them on the blog) and you can get lots of glossier, balmier lipsticks now- so, if I had to pick one, it would probably be lipsticks. This is awful because I love both and I don't really wear one without the other but if I had to choose one, it would probably be mascara. My eyelashes are quite fair and I never feel happy with my makeup until I can see my eyelashes. And I am a million times pickier when it comes to mascaras than I am with eyeliners- all I want with eyeliners is for them just to stay put. Foundation all the way. I can cover my redness and any other issues with foundation but it's always one of the most important steps in my makeup application process. Oh god, how I chuckled when I read this! To be honest, I don't really wear anything other than neutral eyeshadows! I have billions of browns and creams in my collection, and I am like a woman possessed. That said, I do try to incorporate a bit of colour when I can but I have quite small eyes and eyelids so I don't have alot of canvas to work with. I love the intensity of pigments, especially in the Christmas party season where people like to embrace their inner glitter, but apart from the odd night out or special occasion, I would never opt for loose eyeshadows over pressed in normal everyday life. Again, I am not mad about either of these. I have about 10 bottles of each, but neither of the two would be my favourite brands of nail polish. I much prefer Essie, Sally Hansen, Jessica and Essence nail polishes than OPI or China Glaze. To choose between the two, would have to say OPI. In my opinion, that depends on the size of your hands and your nail beds. I have small hands and small nail beds so I always keep my nails neat. Also, I have quite brittle nails so would be difficult to grow my nails. Natural. I've never had Shellac and I've had gel nails done about 5 times but it's not worth it! Bright in spring/summer and dark in autumn/winter. No flower for me, I'm not a nail art person really- I barely wear glitter on my nails. Perfumes all the time- never wear any body sprays. Hmm, probably 50/50 on this one- I have body lotions that I love and body butters that I love. Never use soap in the shower because I find it very drying on my skin so definitely some sort of shower gel in the shower. Nothing comes close to LUSH in my mind- for selection of products, quality etc. Long sleeves but it's inevitable that I will end up rolling up my sleeves. My sleeves are always rolled up- even in the depths of winter! I very rarely wear skirts over dresses but I do love my dresses! Stripes. I don't own any plaid. Neither. I hate feet, my feet and have a morbid fear of things falling on my exposed toes. I have an abnormally large head and I don't think hats suit me so would definitely be scarves even though I am particularly fussy when it comes to scarves! Studs pretty much all the time- the more special the occasion, the bigger the stud! I occasionally sport a dangly from time to time however. Both but I am really embracing the statement necklace at the minute. I don't wear hoodies alot because I tend to overheat so will probably say jacket. *Sigh*. My hair is naturally very wavy but I wear it straight practically all the time. I prefer it straight but when I meet people when I don't have my hair straightened, they say they prefer it way. AND I am good at curling hair- GHD curls are my talent. Ponytail- very very rarely wear my hair in a bun. Bobby pins- I find them everywhere in my apartment but never have one to hand when I need it. Hair Spray or Hair Gel? Have never ever used hair gel and only use hair spray after GHD curling my hair. Long. I have thick hair so it looks better when it is longer. Also the longer it is, the more it weighs itself down. I've been uber blonde and quite dark. 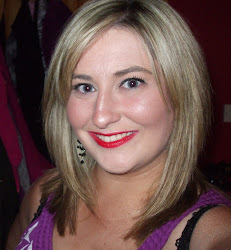 I like being blonde but the maintenance was a killer and it was zapping the goodness out of my hair. Regrowth is a lot more bearable when my hair is darker. Not sure which one I prefer and everybody around me has a different opinion on the matter. I've had full fringe but I have a cow's lick in my hair which dictates my parting- trying to keep a full fringe full was too much hassle. Side fringe all the way now! 50/50 for work, if I am going out and about or have a special occasion, I'll style it down- useless with upstyles. Shine. Daylight makes me happy. Love the smell of country rain though. Winter- can't bear summer heatwaves because my skin is so fair and I don't like feeling too hot. Also winter = Christmas! Well back to school and birthday are in Autumn but I love when the countryside starts getting clean and green again after winter. So that's my interpretation of this tag, and if you are interested in doing something similar, consider yourself tagged and link me to your answers below, I would love to read them! Thanks again to Girl Friday for the inspiration! I just did it as well!!! Love tags!